With protestors all over the United States trying to cause an economic revolution, the heart of the movement has taken a huge hit. 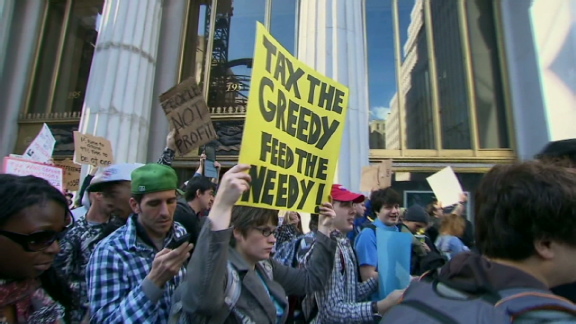 Wall Street is where the movement began and set ablaze the occupy protests from coast to coast. And this week, Wall Street is where the latest sweep of layoffs have been announced. Multiple major banks have reported that they will be letting go of about 75,000 employees all over the country. The financial corporations announcing job cuts include Bank of America, JP Morgan Chase, Citigroup, Goldman Sachs, Credit Suisse, and RBS. None of these cuts are surprising, as the banks have announced the cuts months ago. And it should come as no surprise that this is when the jobs were officially cut as if the employees were held into December, they would be eligible for holiday bonuses. It is expected that for the most part, this is the final set of cuts for major banks barring a major setback economically. It is not apparent how this will effect the occupy movement or if it will even cause a notable reaction.